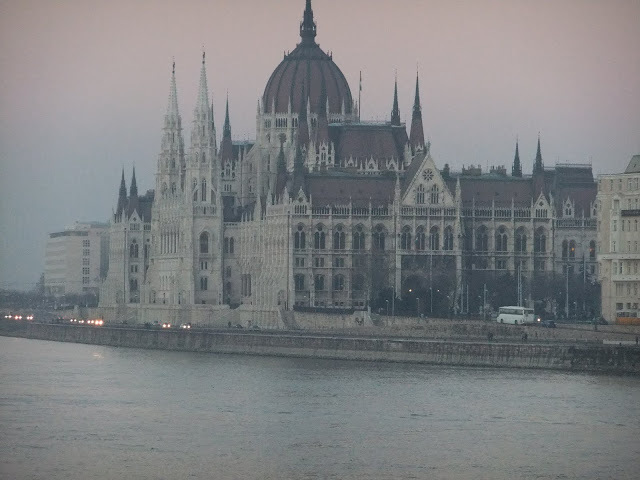 Last winter we decided to visit Budapest, a city I've always wanted to see. Whenever we go somewhere we try to do what the locals would, and a local wouldn't get a cab from the airport to the city center if there's (cheap) public transportation. 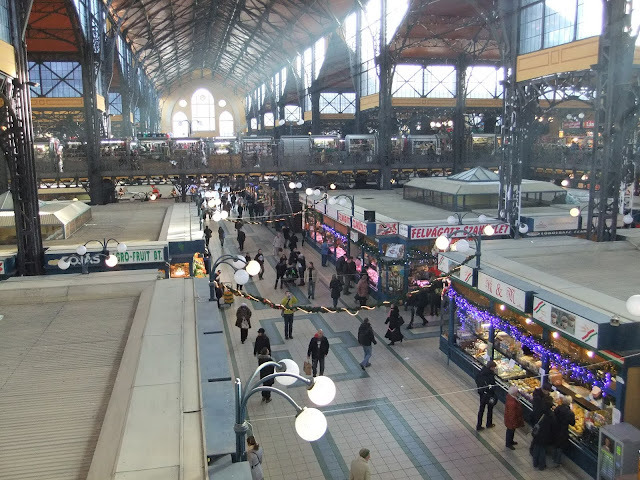 So that what we did, we took a bus from the airport to the nearest metro station and then we took the metro which dropped us on the corner of our hotel. Using public transportation gives you a greater view of a culture. The first glance of Budapest by bus and metro is not as charming as this beautiful city actually is, landscapes are a bit post-communism but it was in no way Milan's subway (people shouting on the phone, pushing, unaware of the fact that they disturb others forced to share that reduced space with them), Budapestians are not loud and they mind their own business. The city is beautiful, full of culture, places to see and activities to experience. 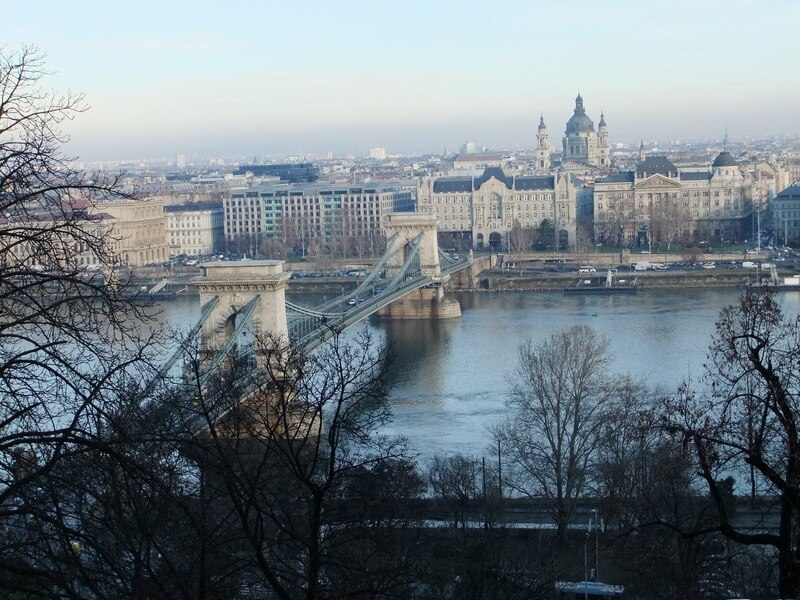 Divided by the river Danube in Buda (the old town) and the newest Pest, it was one of the most important cities of the Austro-Hungarian empire, full of beautiful monuments, museums and history. As in every trip-planning, I found an interesting activity for our Budapest stay (apart from the baths): Opera. 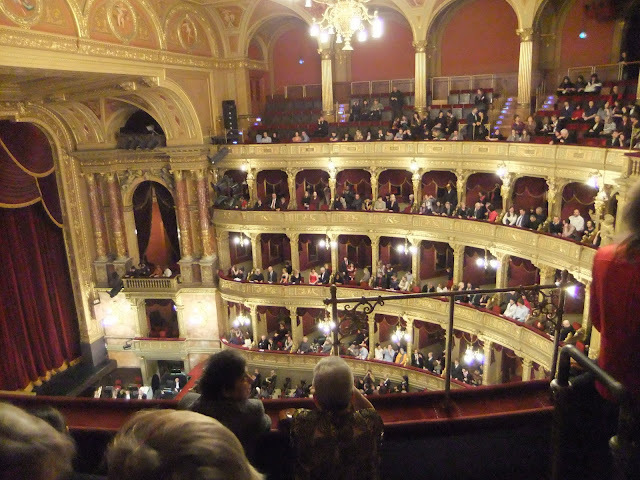 It's amazing how cheap it is to get a ticket for Budapest opera! I think we paid like 2 Euros for a seat, okay, it was in the highest part of the theater but the acoustics were good and we got a better chance to admire its wonderful ceiling while listening to beautiful music. If you are interested, I got the tickets online from this website. After the Opera we managed to get a table at Klassz, (Andrassy ut. 41 - no reservations) a nice restaurant just in front of the Opera house in the classy street of Budapest. 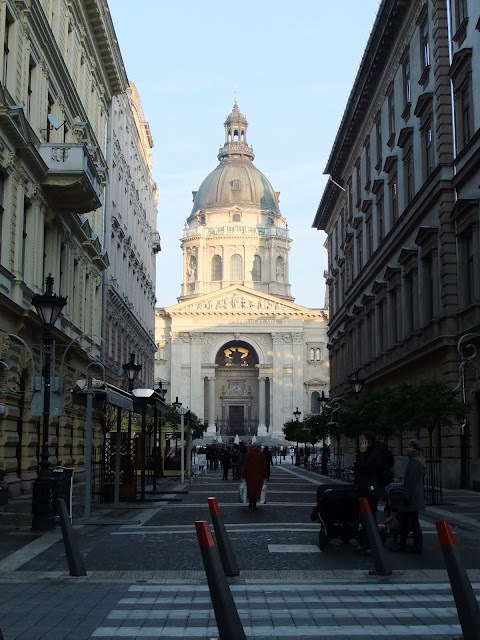 This restaurant is also a wine bar recommended by the Hungarian wine association, so it was a must for us. Atmosphere was nice, crowded but not noisy, service was just OK. The food was very good: goulash soup, venison and lamb, paired with hungarian pinot noir. The bill was approx 20 euro per person (2 soups, 2 main courses, water and 2 glasses of wine, tip included). We came back the following day to have a glass of Tokaji, Hungary's most famous dessert wine, definitely worth it! We enjoyed sightseeing, opera, food, wine, our hotel, etc. but the real gem of our trip were the baths! Budapest boasts a long tradition of bathing, in fact there are public baths all over the city, some very luxurious (Gellert), and some very old and authentic like Rudas so that's where we went to! If you want to try the real Bath experience in Budapest you should definitely visit Rudas baths. The whole bathing experience is great: we were there on a Sunday morning (there are days in which both women and men can use the baths together, check before going), the weather outside was freezing (-7°C) and we felt like a hot bath and massage. We got a ticket with a cabin at the entrance and booked a massage. They give you a bracelet (like a Swatch) that contains info of what you paid for (massages, etc.) and is also your cabin key. When you get to the dressing rooms area you put your swatch on a machine which will tell you your cabin number. There are 5 pools with different water temperatures in the main dome (from 28°C to 42°C, I think), showers, a steam bath, a sauna and a relax area. The massage was not that relaxing, they are really strong but after it we felt very relaxed! 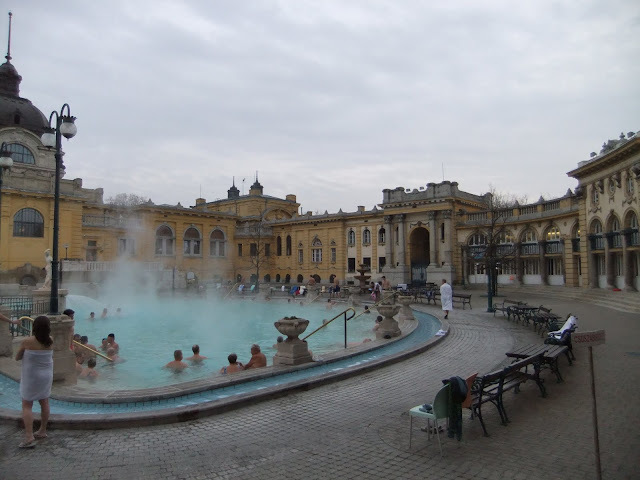 We enjoyed the experience so much that the following day we visited Szechenyi Baths, one of the largest spa complexes in Europe with outdoor thermal pools and lots of indoors pools, sauna, steam bath and jacuzzis. The place is huge and it was also a great experience (especially taking off your bathrobe at -4°C and then jumping into a 42°C pool - and getting out!) but we somehow liked the starkness of Rudas better. 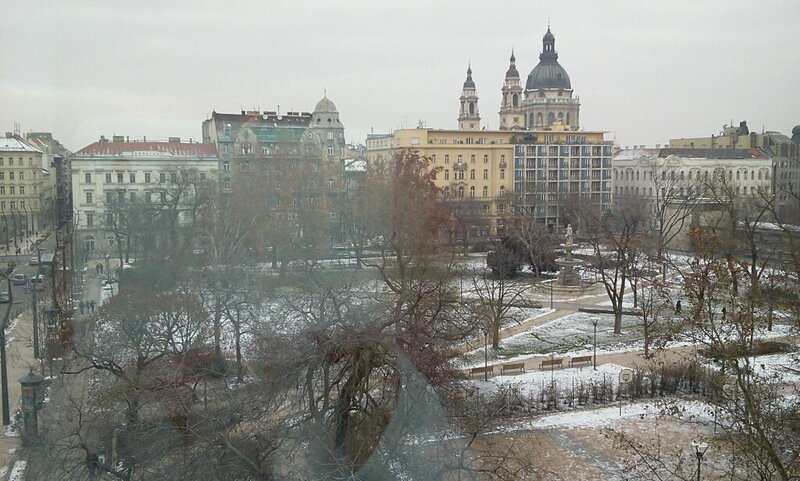 Our hotel was also great, the Kempinski Hotel Corvinus. The hotel is centrally located, near the main attractions on the Pest side of the Danube. Modern building, very professional staff. Rooms are spacious and clean. free Wi-fi connection in rooms and hall, fast. Breakfast was delicious: omelette station, typical products, sparkling wine, fresh fruit, etc. Great spa and indoor pool. Since they had just opened Nobu in the ground floor of the hotel we decided to try a drink after dinner. Drinks and food are OK, service was over-polite; prices are expensive for Hungary, still cheap compared to Nobu in Milan. 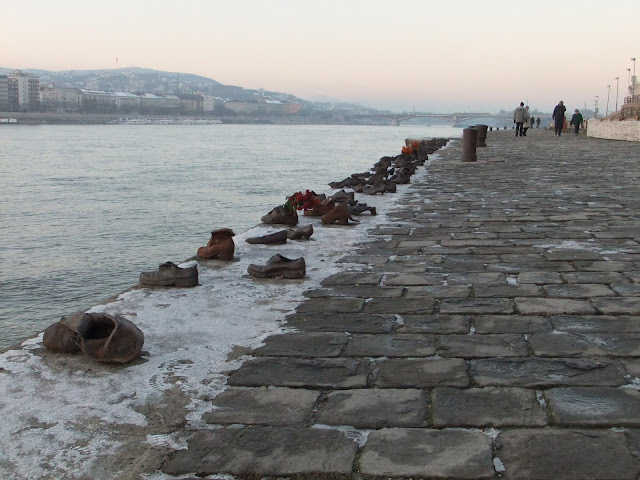 The sight I liked the most was the Memorial on the Danube Promenade: it is a series of sculptures of shoes along the Danube bank (near the Parliament), it represents the shoes of the Jews who fell into the river after they were shot by fascist Arrow Cross militiamen during World War II. 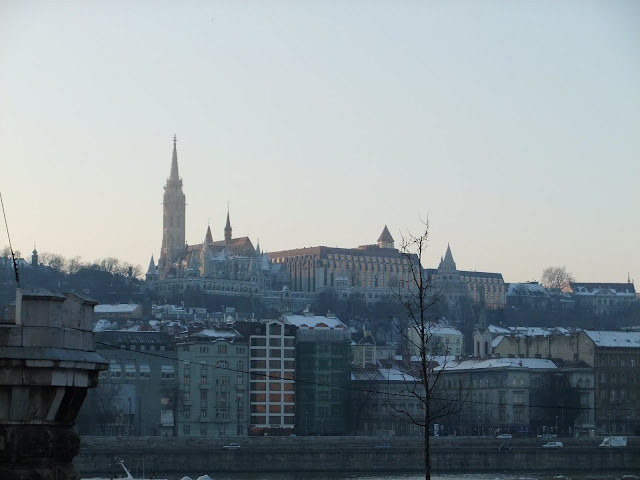 Of course I loved the Parliament, the Castle and the views of the city reflected in the Danube, the market and don't make me mention the Christmas market in Vörösmarty Square and the delicious glühwein (mulled wine)! the all-you-can-eat buffet at Trófea Grill (so cheap! ), the tramway rides around town to find the baths, the Vajdahunyad Castle, the Basilica.... I could go on and on.... Beautiful city, great food, history and Tokaji!